PAVIA Gallery - Espresso Bar & Café Is Pleased To Be The Canadian Distributor Of One Of Italy’s Great Coffee Roasting Companies. Every year, the owners of PAVIA Gallery lead a trip to Italy. When it came time to open the Espresso Bar & Café, instead of trying to recreate the amazing coffee experiences we’ve had in Italy, we decided to work with an Italian coffee company. At PAVIA Gallery we import all of our espresso from a micro-roastery in Florence and have it delivered directly to our door in Herring Cove. Roasting coffee since the '50s, Mokaflor is a company that has been handed down from father to son, ensuring a continued familiarity and experience with the coffee product, and an added value for work that still requires a human touch. The lots of green coffee beans arrive in Florence to the Mokaflor roasting plant from every part of the world: Mexico, Guatemala, Brazil, India, Ethiopia, Java, Jamaica, Puerto Rico, and other areas. There is a direct relation with the producers, and the company stipulates multi-year contracts with the same producers to ensure the best lots and the most consistent quality. 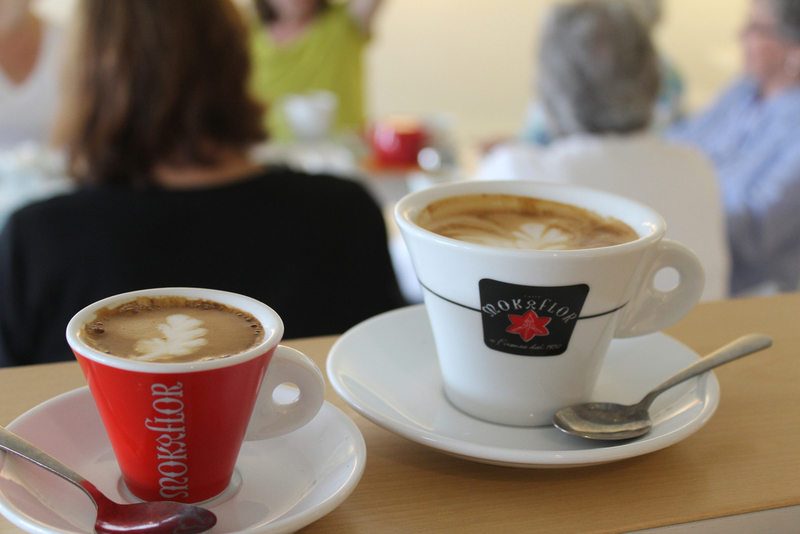 Coffee is a living product - for this reason every lot of coffee has a sample roasted and tasted by Mokaflor. Their expert appraisal leads to a constant unchanging quality in the cup. Mokaflor has always put flexibility at the centre of its operating system. More packing lines, with machines that can confection milled or powdered coffee from 250gr to 3kg, with a production that varies from 100 to 400 packages per hour. The packaging guaranties the consistency of the aromas and the absolute freshness of the product thanks to the vacuum system. 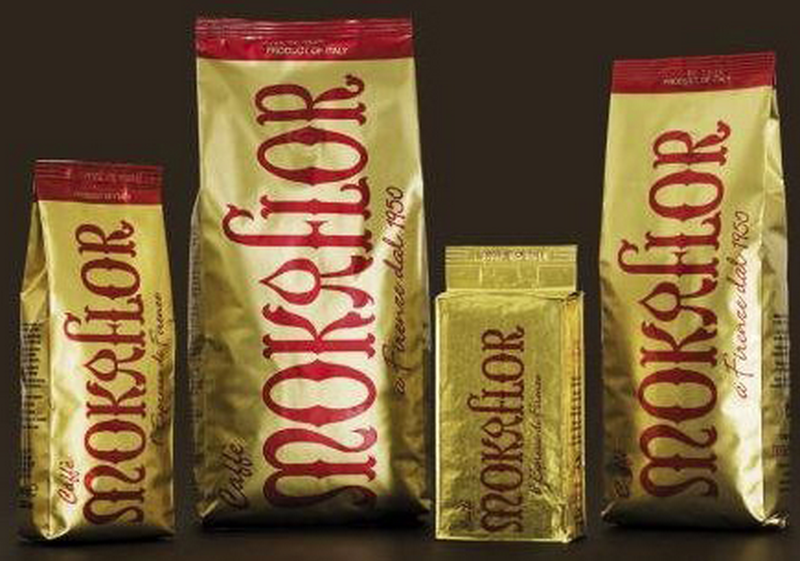 • Mokaflor has chosen to leave to rest and to off-gas its coffee for three days after roasting, in order to package coffee just at the right point. The Pilot Boat Fair-Trade Organic Blend is a vibrant medium roast coffee. 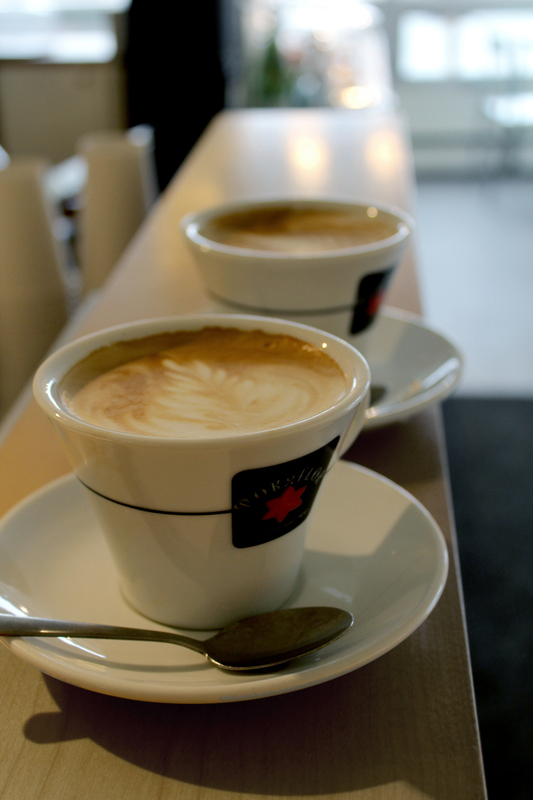 A blend of 3 beans – Guatemalan, Mexican and Ethiopian – this coffee is very flavourful with a pleasing finish. The Pilot Boat is a mainstay in the village of Herring Cove. For generations Herring Cove has been a pilot transfer station for the Port Authority. The geography of the cove combined with the man-made breakwater offers a calm location for the boat to shuttle the busy pilots. More than seventy years ago, shortly before midnight on March 28th, 1940, the Hebridean pilot boat of Herring Cove set off with her crew of 15 to guide a British freighter, the Esmond, into Halifax Harbour. Tragically, as the pilot was about to board the Esmond from the smaller tender, the freighter rammed the pilot boat, slicing it in two, and the Hebridean sank within moments. Six pilots and three crew were lost and neither they nor the Hebridean were ever located. Many of the surviving family members continue to live in the area and this event still greatly affects the community of Herring Cove. The Italian Dark Roast Mokaflor Blend is a dark roast coffee that has been blended with Mokaflor’s ‘Gran Crema’ espresso bean. With the exception of a caramel coloured crema, this coffee tastes like a beautiful americano. Its flavor profile is creamy, bold, and rich with very little acidity. Drawing on the dark roasted Mexican and Peruvian beans, the hint of Robusta bean makes this a very special coffee. Using some of the world’s best espresso beans, this coffee was created by PAVIA co-owners Victoria Foulger and Christopher Webb, and the Master Roaster at Nova Coffee in the hopes of capturing a truly authentic Italian drinking experience. The attention to detail has made for an intense taste profile. This classic old-world blend takes its leave with distinction and elegance worthy of the Giglio di Firenze that symbolizes the Renaissance city of Florence.